When will be Best of the West next episode air date? Is Best of the West renewed or cancelled? Where to countdown Best of the West air dates? Is Best of the West worth watching? 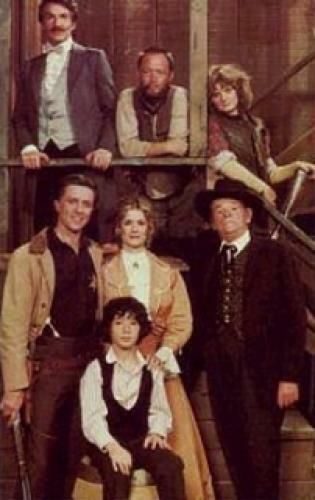 Best of the West was a spoof of all the TV westerns that had come before it. Sam Best was a Civil War Veteran from Philadelphia who decides to head west in 1865. Along with him are his 10 year old son Daniel and his new wife, Elvira. Sam had a problem with the Calico Kid, a gunfighter who terrorized the town until Sam decided to drive him out. This promptly gave him the title of Town Marshall. Another irritation for Sam was Parker Tillman who was the owner of the Square Deal Saloon and basically all of Cooper Creek. EpisoDate.com is your TV show guide to Countdown Best of the West Episode Air Dates and to stay in touch with Best of the West next episode Air Date and your others favorite TV Shows. Add the shows you like to a "Watchlist" and let the site take it from there.